If you’re looking for a dog who is more lap-sized, Orphans of the Storm® has plenty of options for you right now! 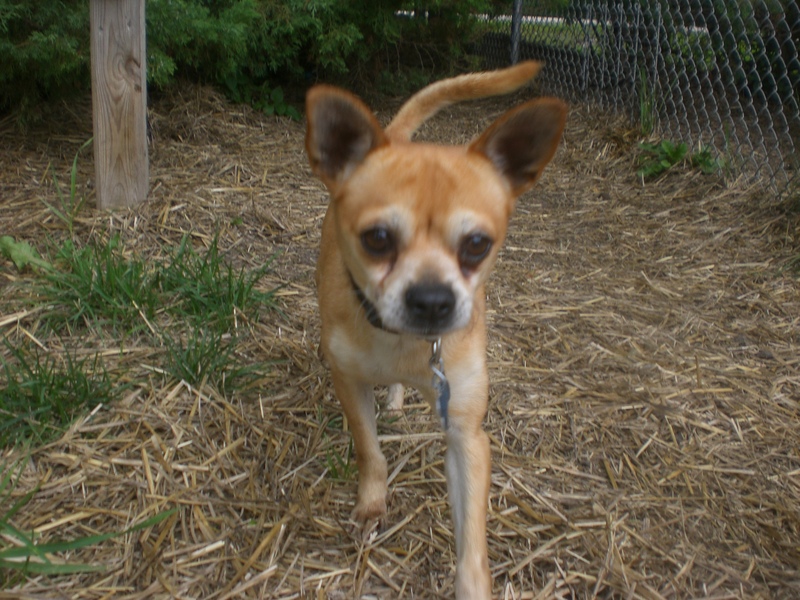 Charlie the eight-year-old Chihuahua mix may be a little bark-y when he’s inside his kennel, but that’s just because he wants to make sure you won’t miss him! Once he’s out and about, he’s a happy-go-lucky little guy. When we were in the off-leash run and he saw that I had knelt down to his level, he came scurrying over and flopped right onto his back next to me so I could give him a belly rub. He loves rolling around in the grass and makes silly faces while he does so. 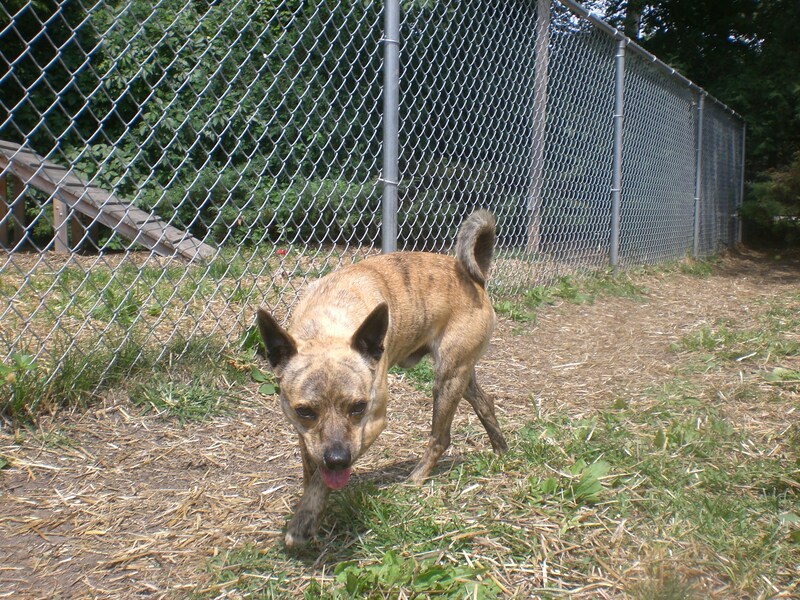 Charlie acts like a tough guy when there are dogs bigger than him nearby, but he gets along great with dogs who are more his size; he was sharing his kennel with another Chihuahua who has since been adopted. Charlie is most definitely a people-dog who likes staying close by rather than going off and doing his own thing. 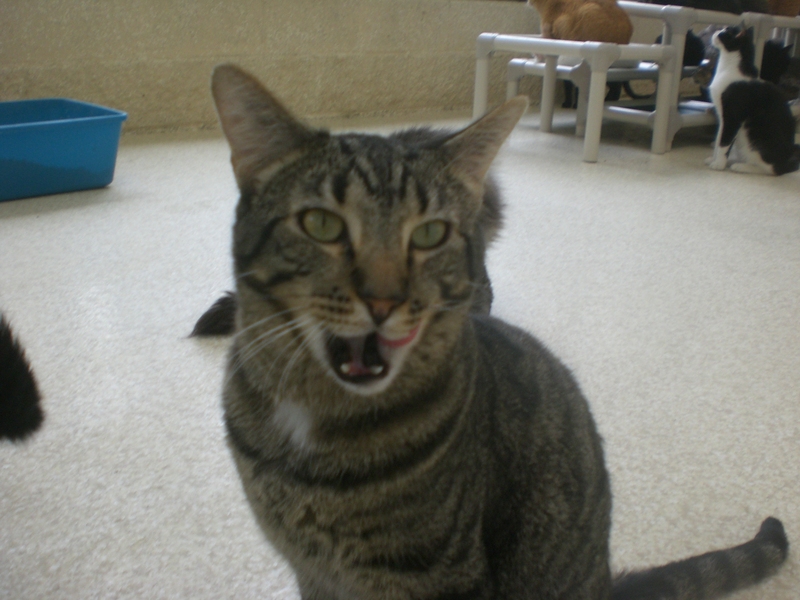 If you’re looking for a cute little companion, come by the shelter soon to meet Charlie! 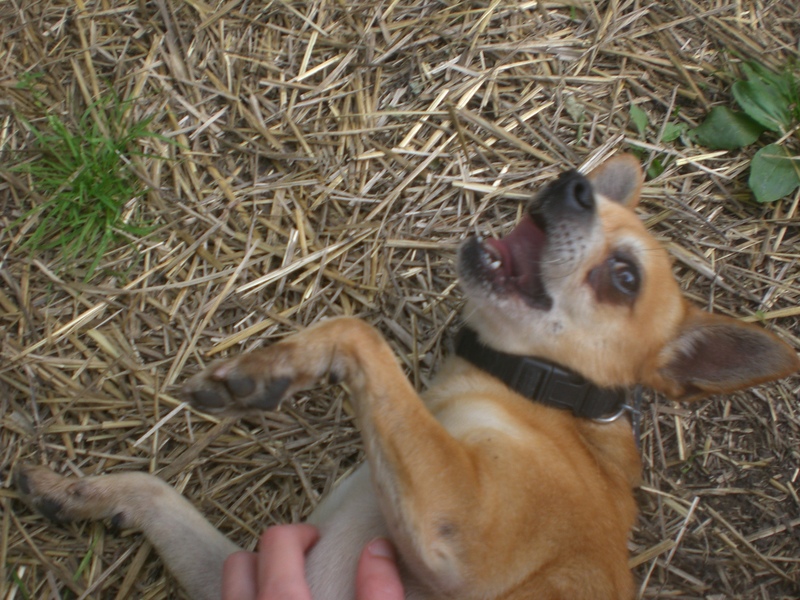 “I LOVE BELLY RUBS!” says Charlie. Patches the six-year-old Jack Russell Terrier mix certainly lives up to that Terrier reputation. This little guy is always on the move. He had a fun time going deep into the bushes in the off-leash run to do some exploring, and then popped out and ran around a bit. He did chase after the tennis ball when I threw it, but he hasn’t quite mastered the whole “bring it back” part. But he’s a smarty, so he’ll certainly be able to learn whatever his new owners teach him! Patches is an active guy, but he still knows his manners. He patiently sat for me while waiting for me to get the leash, and once he was on the leash he walked pretty well. 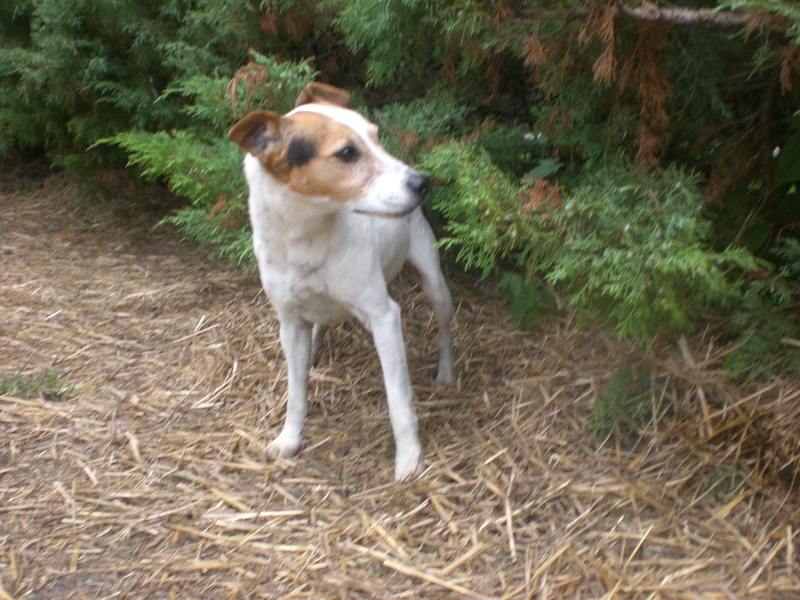 Patches is another pooch who gets along well with other dogs. He was sharing his kennel with Louie (who has since been adopted, hurray!). 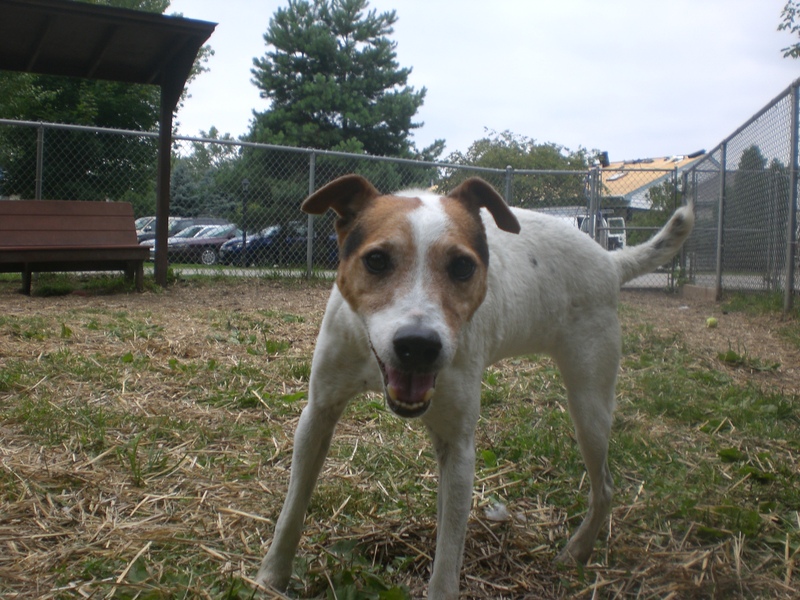 Patches will be sure to keep you entertained, so come in soon and find out if he’s the one for you! 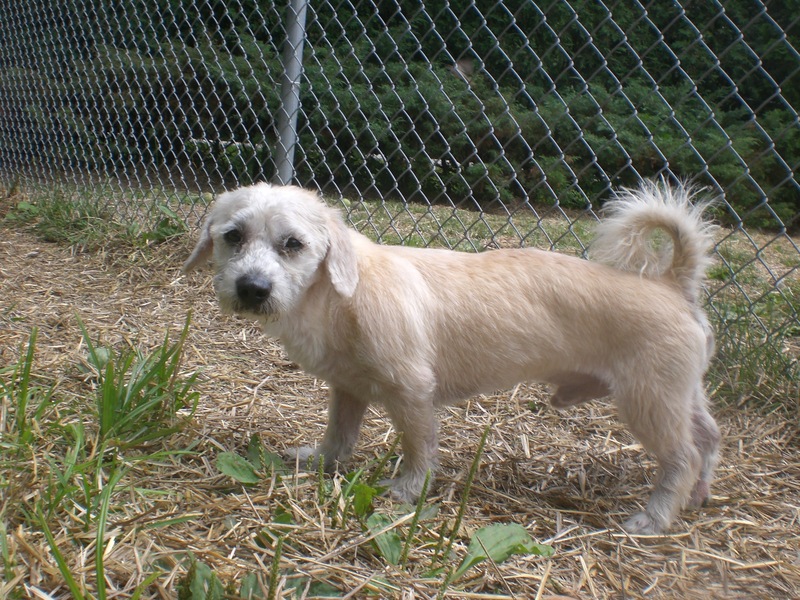 Stanley the three-year-old Terrier mix is such a little cutie. I didn’t measure to make sure, but he might be longer than he is tall, which is always adorable! Stanley was ready and waiting for me at the gate to his kennel when he saw me with the leash, and happily set off to lead the way to the off-leash run, where he had a great time sniffing around and stretching his little legs. Stanley also likes to snuggle. 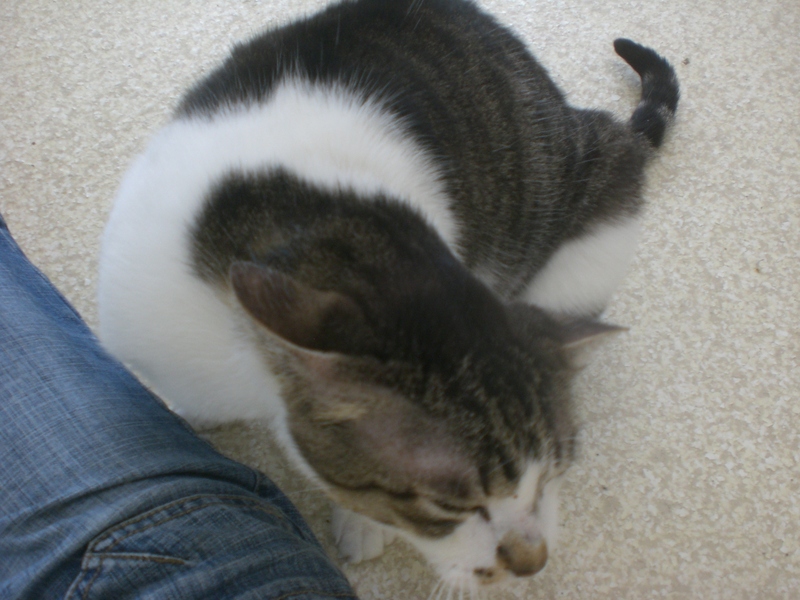 When I sat down on the ground, he climbed into my lap and gave my face a quick sniff. 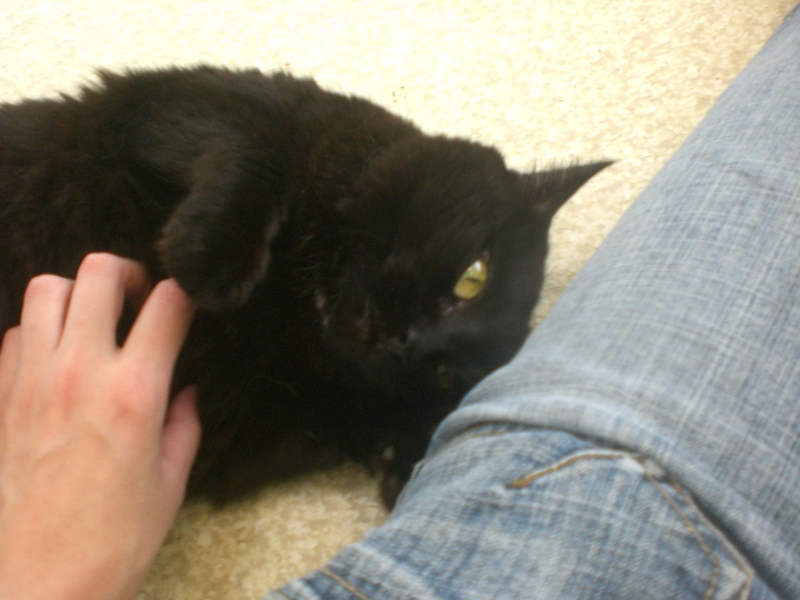 Then he stood next to me for a bit while I scratched his hips and neck, which he seemed to enjoy. His fur is so soft! 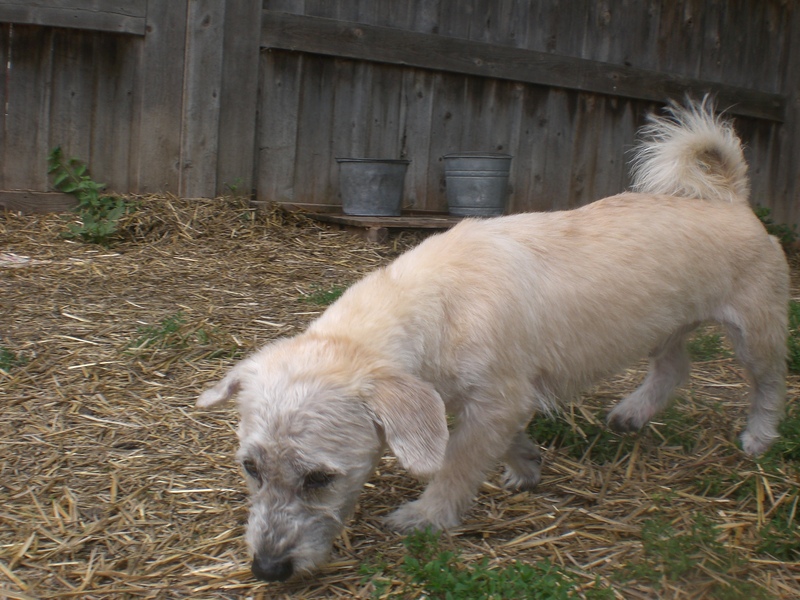 Stanley has a bit of that Terrier independence in him, but he’ll always come back to you for some love and attention. 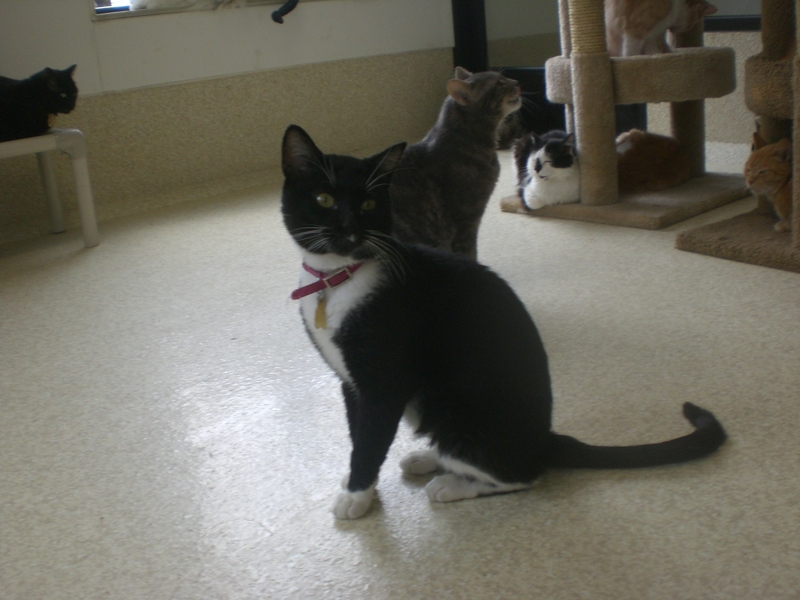 If small, fluffy, and white (or off-white) are part of your criteria, come in soon to meet Stanley! Joey the three-year-old Feist mix is a happy little guy. He was sharing his kennel with Della (who I met last week at Northbrook Court, and who got adopted while I was walking Joey! 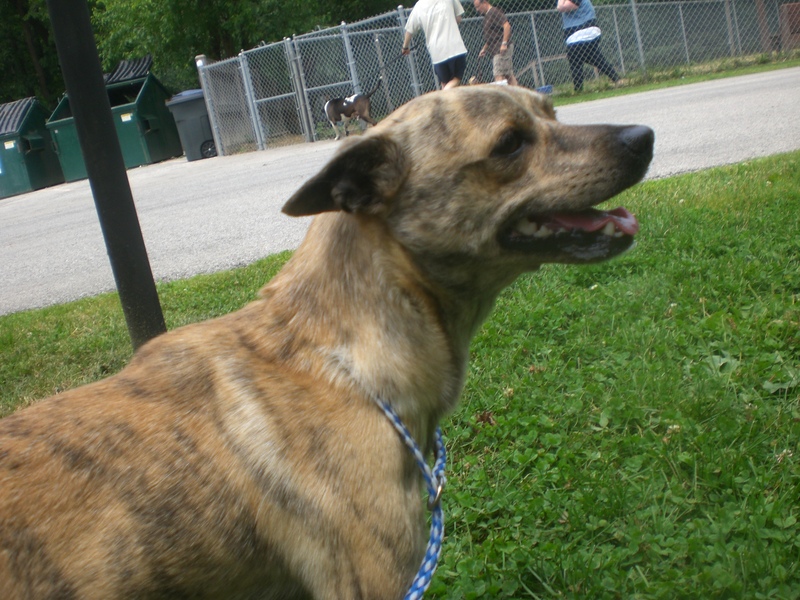 ), so he could go to a home with or without another dog. Joey was so happy to come for a walk with me that he was jumping up and down, but he settled down nicely once we were on our way. Joey has such interesting markings, and such a cute face and ears! He’s sure to catch your eye as you walk through the main dog wing. When we found a shady spot in the grass, Joey stood by me so I could give him a nice pat on the back, and he gave me a quick doggy kiss as a thank you. His tail is almost always wagging, and he usually looks like he’s smiling. Let this little guy bring a smile to your face every day by bringing him home with you! Joey has the most interesting coloring! I also saw some of my furry friends who can’t exactly be described as “little,” but that just means there’s more of them to love! : Cody, Daisy, Ebbie, Honey Lamb, Rock, Ryla, Scotty, Shasta, and Wilbur. 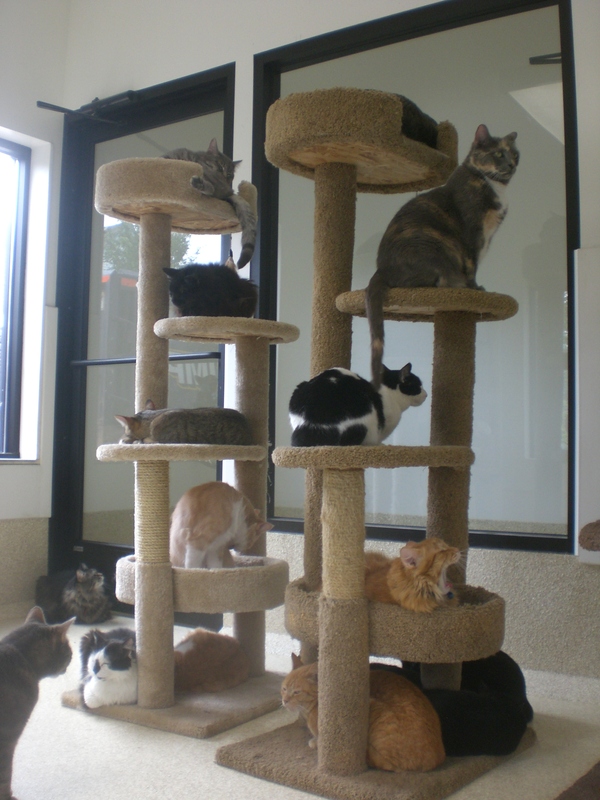 After I was done with the dogs for the day, I stopped by the new cat room for the first time (which I have been meaning to do for months)! And let me tell you, I have been missing out. I don’t even consider myself to be a cat person, but those 20 minutes were the most relaxing 20 minutes of my week. All you have to do is sit down, and the cats will come to you and snuggle right into your lap and purr and knead and just overall be adorable. Don’t you just want to take all of them home? 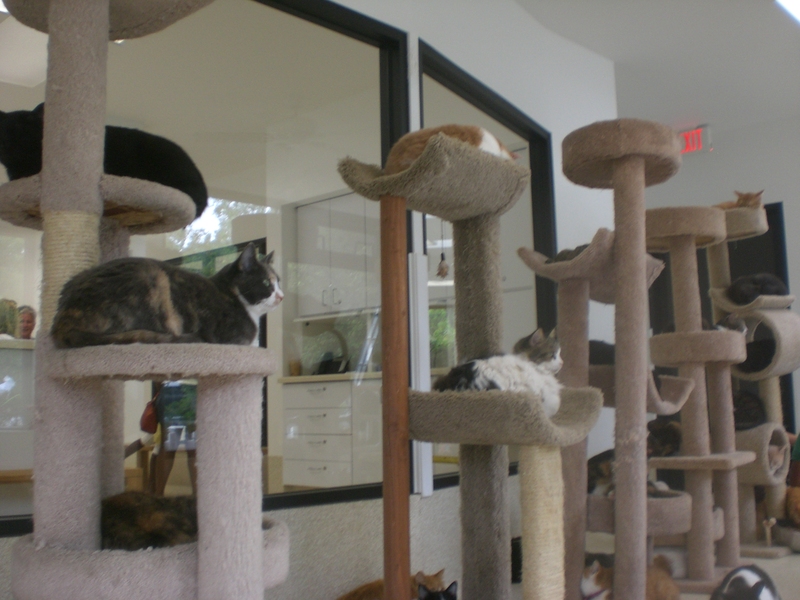 Having a warm and fuzzy cat (or two, or three) in your lap will undoubtedly make you feel warm and fuzzy on the inside! There is also plenty happening off-site over the next few days! If you’re interested in becoming a dog walker volunteer, please attend the Shelter Dog Handling Class at Deerfield Public Library on Monday, August 4 at 7pm or Wednesday, August 6 at 10am. Orphans of the Storm® dogs and cats will be at their usual place at the Pet Showcase at Northbrook Court on Saturday and Sunday from 11am-5pm. 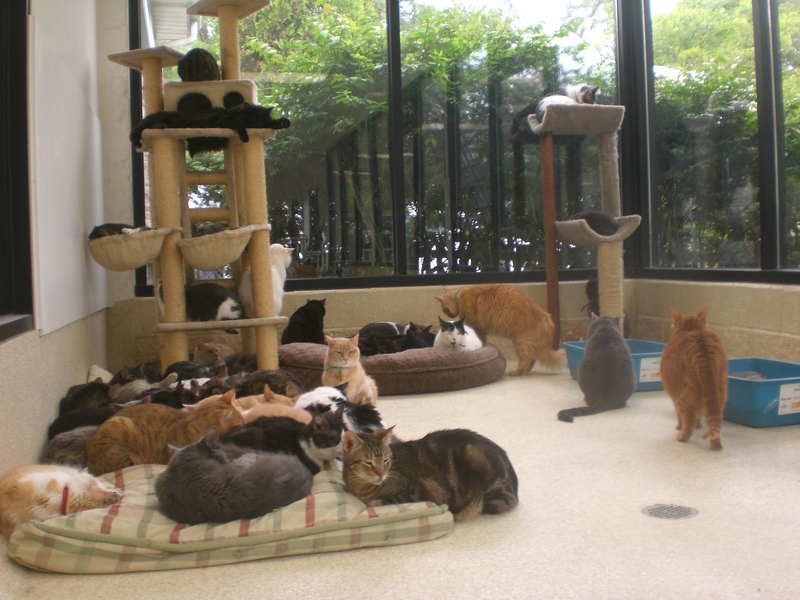 Orphans of the Storm® dogs and cats will also be at the Chalet in Wilmette on Sunday, August 2 from 12pm-3pm. Even more dogs and cats will be at Port Clinton Square in Highland Park on Sunday, August 2 from 11am-2pm. Orphans of the Storm® is everywhere! Posted by Meet the Pooches on July 31, 2014 in Dog Profiles and tagged adopt, animal shelter, animals, cat room, cats, Chicago, Chihuahua, dogs, Feist, Jack Russell Terrier, Orphans of the Storm, pets, Terrier.